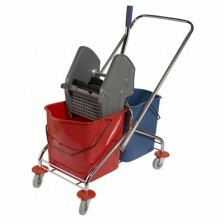 For our clients in the hospitality industry, we offer trolleys perfectly designed for room cleaning. Spacious enough to carry a full range of cleaning tools and supplies, Cleantech provides high-quality, lightweight and easy-to-clean trolleys. They're also versatile, and can be easily fitted out with adjustable shelves for linen and trash collection. With plenty of storage for any of your needs, these products are a must-have for any cleaning work. Cleantech's carpet spotters are the ideal machines for small jobs cleaning in hard-to-reach areas, including carpets, stairs, upholstery and car detailing. Cleantech's self-contained extractors are our recommended choice for fast, effective, cleaning. These heavy-duty, maneuverable and versatile machines blast stains quickly and easily, and take half the time of a tank extractor. With their tank-over-tank design, our machines remain perfectly balanced throughout the job, from start to finish. 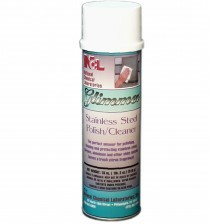 Cleantech Gulf supplies several types of carpet spotters from industry-leading brands to our UAE customers.Our flexibility and reliability make us one of the leading cleaning equipment suppliers in UAE.